Some of you who have read my review of the Sachtler CF-100 ENG HD 2 CF Tripod http://www.indiawilds.com/diary/sachtler-cf-100-eng-hd-2-cf-tripod/ have asked me how I am able to get low angle shots since the minimum height of the tripod is 20.1 inches. So I decided to write about this essential but often ignored piece of equipment. I use an OConnor Hi Hat to get the low angle footage. The term Hi Hat is infact a misnomer. I am told that this term originated from the use of the Hi Hat in the olden days when the Hi Hat used to be fitted on a plywood board high up in the studio to get those top down shots. It was primarily for places where one can’t take the traditional tripods. However, over a period of time, the Hi Hat has become synonymous with low angle shots. One can place the Hi Hat on the ground and place the fluid head on it and get those lovely low POV shots. The OConnor Hi Hat comes in 75mm, 100mm, 150mm as well as in a Mitchell base versions. I use the 100mm version. I use the OConnor 45A-002 model. It is 5 and � inches in height. It is cast and the bowl is nicely machined so that my OConnor 1030 HDs fluid head http://www.indiawilds.com/diary/oconnor-1030-hds-fluid-head/ fits perfect. The legs have provision to bolt it to plywood or a stable level surface. In wildlife filming, I often place it on the ground and use it. Most of the times we find undulating surfaces, so I use it directly on the ground. My heavy OConnor 1030 HDs fluid head ensures that the Hi Hat remains firmly planted on the ground and doesn’t shift while panning. There are many brands of Hi Hats available. However, one needs to be careful while buying as your fluid head may not fit well with other brands despite the bowl size being the same. A word of caution: The Hi Hat being a cast metal item, if you accidentally knock your lens or something then you will hear a metallic sound which will travel a long distance in the silence of the jungle. 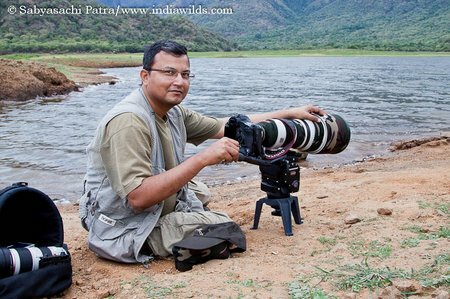 Equipped with a Canon EOS 1D Mark IV, the OConnor 1030HDs fluid head and large telephoto lenses, Indian cinematographer and animal rights and environmental activist Sabyasachi Patra set off for the Anamalai Tiger reservation in the Western Ghats to shoot his film, A Call lin the Rainforest. 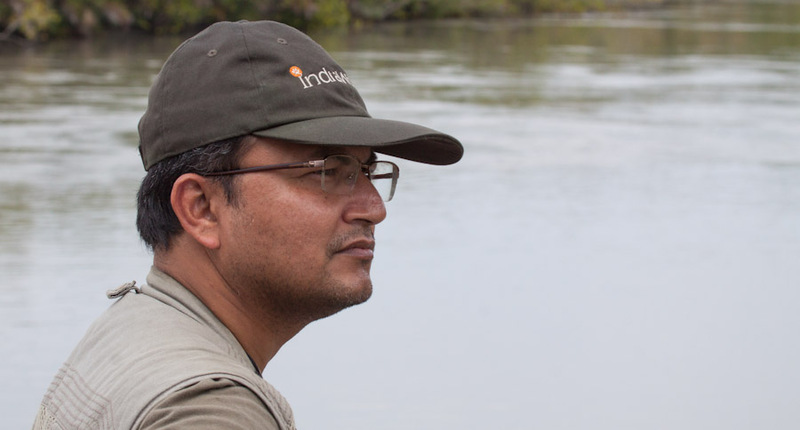 Sabyasachi documents the reasons for the tigers� threatened existence: in particular the fast growth of the nearby city of Valparai. Tea plantations, increasing tourism, and street construction are destroying the rain forest and, consequently, the natural habitat of the tigers. Featuring a counterbalance of 0 to 18.6 kg (0 to 41 lbs), the 1030 range of products offer maximum versatility for filming with a wide variety of lenses, cameras and accessories.